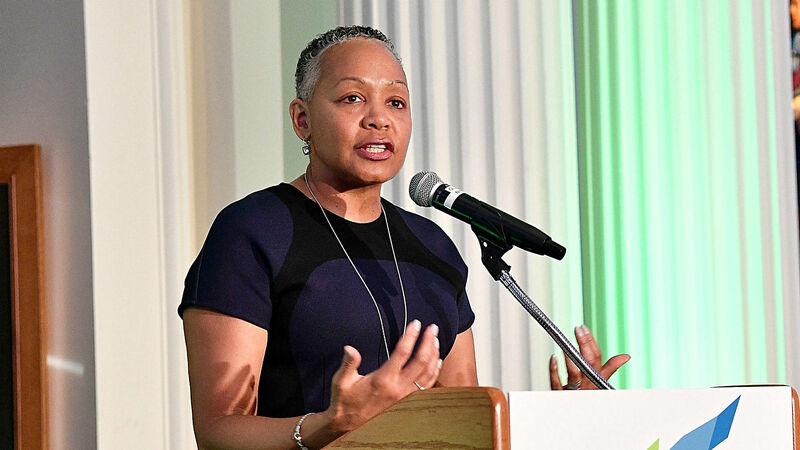 WNBA president Lisa Borders is resigning from her position after three years, the league announced Tuesday. Borders will become the first president and chief executive officer of Time’s Up, an organization dedicated to creating safe and fair work environments for women. Time’s Up was founded in January as the #MeToo movement gained steam. “It has been an honor and my absolute privilege leading the WNBA and being part of what it stands for,” Borders said in a statement. “I want to thank (NBA commissioner) Adam (Silver) for giving me the opportunity and support to help grow this league. Borders was instrumental in boosting attendance at WNBA games and helped launch livestreamed games on Twitter. She also helped launch the WNBA’s one-day fantasy game. NBA Deputy Commissioner Mark Tatum will be the WNBA’s interim president until the league can hire a permanent replacement.